I've received a new type of module and what I can tell you that it is amazing. 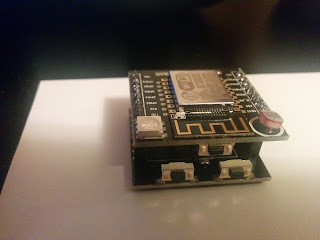 It is a sandwich module, upper board is having the ESP-12F, RGB LED, photo resistor connected to ADC pin and a button. The lower board is having the CH341 USB to serial chip which was recognized well by Windows or Linux ( native or in Virtual Box). Other two buttons RST (reset) and FLASH are on the lower part. Interesting is that I don't need to put the GPIO0 to GND for flashing the board, this is done automatically, so just compile and flash with one command line. 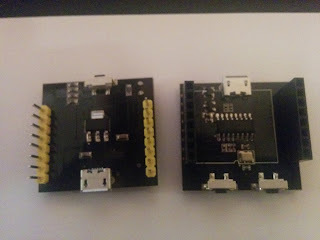 Both boards are having micro usb connectors so you can use the one from the lower board for programming and later in production you can power the board using the connector from the ESP board. Flashing can be done at 230400 so the time is reduced to half which is great. 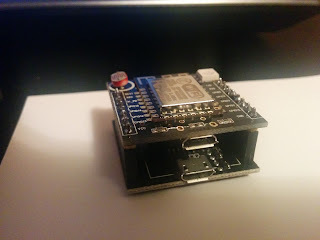 Board was originally for Witty cloud, a cloud service launched in China but my board is running now a porting of mosquitto broker for ESP8266 ( I also ported it for ESP31B) and I can tell you that is more stable and more responsive then ESP31B which is in an early development stage at this time. You can buy the module from here for 4.23USD ( at this time). You will receive the entire module, can use the ESP board and have for "free" an extra USB to serial for other projects.